For years I’ve been enjoying the hobby of gunsmithing, I’ve been modding my own Mosin Nagant rifles into a safer and better rifle for my own enjoyment. With the new ITAR regs that the President has put in place by executive order, there are things you can and and cannot do as a result. My hope is that this crazy executive order will get thrown out someday, but in the mean time following this list should keep you out of trouble. There is a PDF available HERE from the Defense Trade Controls (DDTC) Issuing Guidance on ITAR regulations. According to the letter these do not require registration for ITAR. This is terrible for the do it your self gunsmith who simply works on his or her own firearm for their own pleasure and does not sell them. There is a way to still get these services performed but you’ll need to send your rifle out to a ITAR registered gunsmith. I know of some reasonable gunsmiths that are registered with ITAR, I’ll be modding our links list to show those that are. I’m going to try and work out a a deal with some of them to get my users discounts. This is another reason that we MUST get out and vote! I’ve been looking at some of the new hardware that has been coming out over the last year, I must say I was surprised when I saw a new scope from NcStar that looks like nothing else I’ve seem on the market. 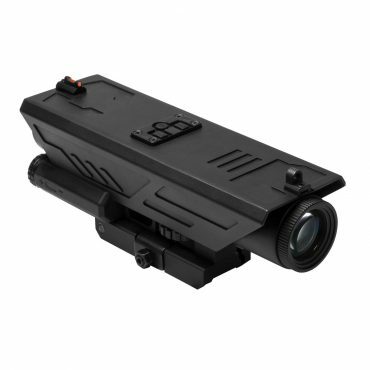 Their Delta series scope Model# VDELP430G DELTA 4X30 Scope w/White & Red NAV LED looks very interesting indeed. Now I know you guys are probably saying you can’t mount that on a Mosin Nagant. To which I say why not. 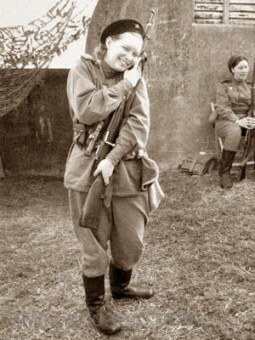 But then again I don’t own only Mosin Nagant rifles. I think this scope has a ton of potential for various platforms. In fact since Commiefornia has decided that all black rifles are bad again for no logical reason, and had decided to ban their sale I’ve decided to add some to the SOCAMO family. Also the forum has been updated and now supports discussion areas for this and many other firearms. So yes I could test this on an AR style rifle if I wanted too. I’ve been wanting to do a review of the new generation of action cameras on the market for quite some time, the market seems to have a new contestant entering the arena almost weekly. So many of these cameras are not geared for “professional” use but mainly were marketed to the consumer market. However the majority of these are simply repackaged versions of the previous generation of action cams or worse, total fakes with horrible performance. With so many to choose from one must be well informed about the all the options available and the pitfalls when purchasing the low budget options. 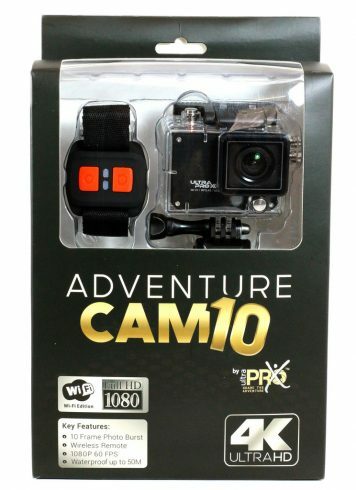 I have many friends who own the apex predator of action cams on the market aka the well known GoPro, and yes while the video output is great, the price is not. In this up coming series of reviews I’ll be looking at the new UtltraPro X series of cameras, Specifically the action cams 10 and 7 models. In a future post I’m going to be comparing the cameras to the Sony HDR-AS15 and the so called low budget SJCAM specifically the SJ4000. OK well I know it’s been a long time since my last post, I’ve been going crazy rebuilding the site after a software upgrade went horribly wrong. 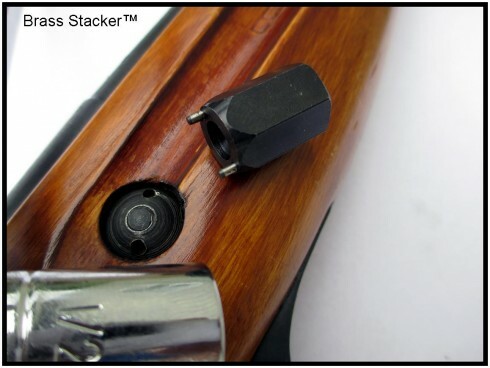 But I’m back with good news for us Mosin Nagant owners who have always wanted an easy way to remove the recoil bolt from our stocks without damaging the part. 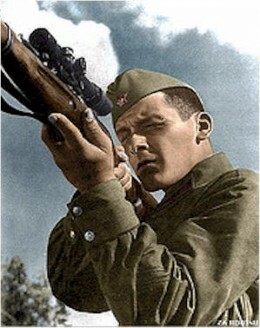 If you’ve ever tried to remove the recoil bolt from a Mosin Nagant rifle you’ll find it’s not an easy task. Often I’ve resorted to needle nose pliers or some other tool to try and remove that bolt with out damage. Most of the time resulting in a nasty scratch that I need to fix. Well no more, enter the MNSW Mosin Nagant Recoil Lug Nut Spanner Wrench. 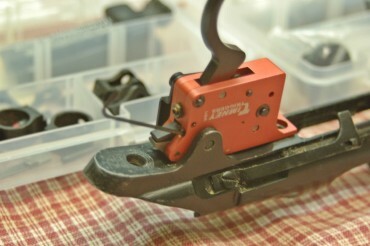 This little lug nut tool makes short work of removing or tightening that recoil bolt. Steve Wait at Brass Stacker was kind enough to send one out for me to test, This thing is a real must have for the Mosin Nagant owner and collector. I’m currently taking apart a war time stock for refinishing so I grabbed MNSW and started to remove the bolt. I was shocked when I found out how loose that bolt was. It was so loose that it easily turned in the stock, This started me thinking about could this effect the accuracy of a standard Mosin M91/30 and I believe it will. I’ll post more on this later. The MNSW fits into a standard 1/2 inch socket, you can then use a ratchet or T handle to remove the cap side of the bolt. Once that is removed you simply push the other side out. I will say I was shocked at how much cosmoline was trapped under the bolt. The one thing I would recommend is perhaps using an magnetized socket. Or magnetizing the tool or adding a small bit of electrical tape to the sides to keep the MNSW in the socket. With that being said this is the only criticism I could come up with for the product. The price is right as well at a cool $10.75 us. 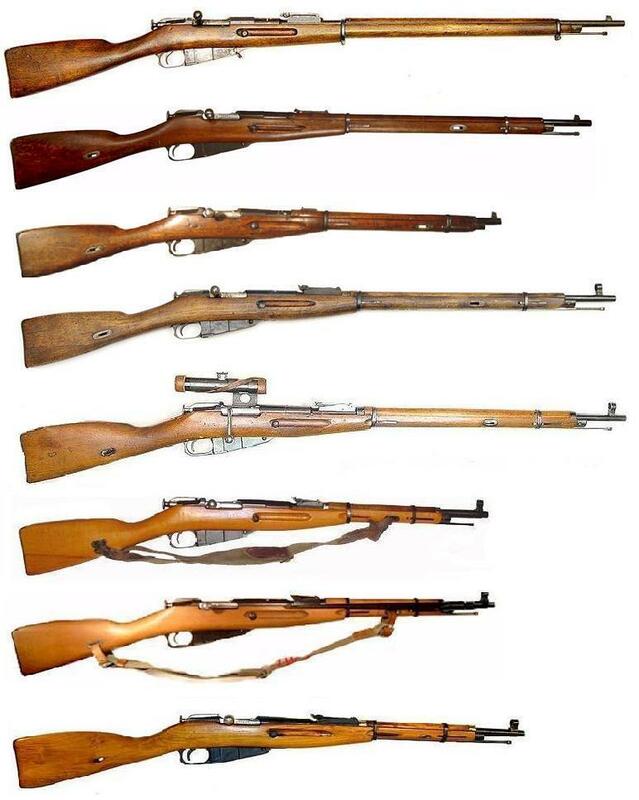 If you have a Mosin Nagant you really should have one of these in your kit. Who are they you ask? Well for over 30 years Hawke Sport Optics has been the leading optics supplier in Europe. They are also the number one selling scope in Europe. And while they may not be as well known here in the States as some other scopes with bigger price tags you’ll see here that they offer more bang for the buck. I’ve owned may types of scopes over the years, from expensive to low budget and so when I comes to mounting a piece of glass on a rifle I need a scope that works for my shooting style. Being a left handed shooter seems sometimes to presents extra challenges, one of which I always seem to come up against is eye relief. Another issue with the Mosin Nagant is recoil, Mosins simply do not play well with cheap scopes and will quickly show a scopes vulnerabilities. 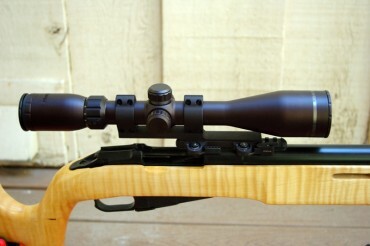 The Endurance 30 is one of Hawke’s higher end scopes, the one I wanted to test was their 3-12X50. When the Endurance 30 arrived the first thing I noticed is it comes in a case. No not some flimsy cardboard thing but a substantial foam lined metal edged case. The Endurance 30 also comes with screw on metal dust caps as well as a lens cloth, but for some reason Hawke did not offer a sun shade for this model. While it’s a 50 on the objective bell the sun shade from a Hawke Nite Eye with a same sized objective did not fit. This is not a huge deal by any stretch, but it would have been a great option. So after mounting the scope on the LaRue tactical mount and leveling it on the rifle, I began to set up for proper eye relief. First thing I noticed is just how good the eye relief is on this scope. Hawke specs says 3 to 4 inches, I needed about just a little over 3. I did not have to struggle to get the proper scope eye alignment at all. The optics are so bright and clear and it the large rear ocular that almost makes you feel like the scope is part of you. I guess I could describe it this way, with most scopes you feel like your looking down a tube, slightly off alignment and you can’t see. Not with the Endurance 30, this one feels like your eyes are part of the scope. Absolutely beautiful. Hawke Endurance 30 3-12x50mm L4 Dot IR Waterproof Rifle scope bring you superb clarity in those crucial moments at dusk and dawn when you’re most likely to bag that big buck. Built with a Japanese-engineered 30mm optical system, the Hawke Optics Endurance 30 3-12x50mm IR Riflescope offers a brighter image and wider field of view than traditional riflescopes. Each Hawke Endurance 30 Riflescope is machined from high-grade aluminum using the very latest precision manufacturing techniques. The one-piece mono-tube scope body is engineered to be 25% stronger than conventional riflescopes. This guarantees a stronger, more accurate and reliable riflescope that will give years of service on any rifle, in any weather. The Hawke Endurance 30 Scope features an 11 position side rheostat, controlling the variable brightness of the L4 Dot fast target acquisition reticle – perfect for close and long range hunting situations. The Hawke Endurance 30 3-12x50mm Rifle Scope w/ Illuminated L4 Dot Reticle will outperform all other riflescopes in the same class. The mono-tube styling and side rheostat are guaranteed to look and perform better on your favorite rifle. L4 Dot Reticle – Based on the popular 30/30 reticle, with a fine top post to ensure the target is not obscured. The illuminated dot offers quick and accurate placement. Eleven brightness settings ensure you always have the proper brightness for your hunting situation. I took the Endurance 30 to my local range to put it through it’s paces, I had installed it on my newest custom Mosin MosZilla Mk III and really didn’t know what to expect from the rifle or the scope. It was late in the afternoon and the lighting was very flat. So after doing some test shots to get the rifle on paper, I sighted the scope in and was ready to try her out at a longer distance. 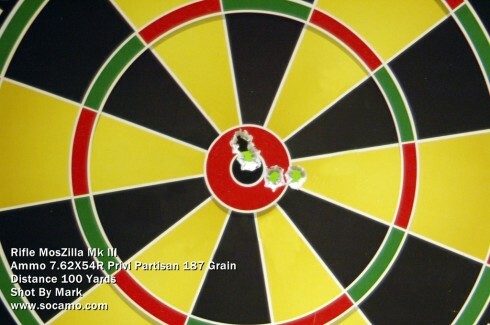 I placed a new target out on the range and waited for the range master to call the range hot. I settled in behind the scope, Once again that large rear ocular was bright and clear. I could clearly see the target in that flat light. I fired five shots and waited for the range master to call a cease fire and the range cold, that seemed like forever. I didn’t have a spotter or a good pair of binoculars but what I could see through the scope looked promising. As I walked up to the target you should have seen my face I was greeted with this. The range where I shoot also has lights for night shoots but there is that period at dusk where the light is low and the lighting was not turned on, For some cheaper scopes this is a problem, but it wasn’t and issue for the Hawke scope, I simply used the lowest setting on the L4 lighted reticule and kept on shooting. After 40 rounds 7.62x54R ammo was sent down range the the scope was still holding it’s settings. In fact my 2 boys were able to get on target with this scope without any adjustment for them. Now they want one too..
Hawke has produced some very nice scopes in the past, But I must say this one has to be my favorite so far. In fact I like this scope so much I’m actually looking for another one of these for MosZilla MK IV. Great Scope at a Great Price. The original MosZilla build at the top has had some serious makeover work. MosZilla II is by far the most adjustable and probably the most technical. 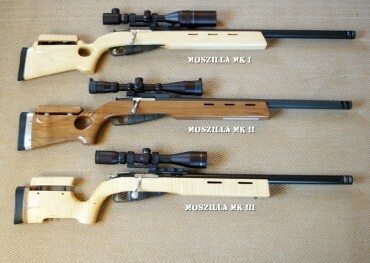 MosZilla III is unbelievably comfortable, accurate and just way too fun to shoot. This is probably the most technical of the three rifles, It’s foundation is a Aaron Henderson “Raven” stock that is heavily modded. Features include cheek and LOP adjustments from Stock Positioning Systems. Another feature is the RSI scope mount, pillars and action screws. A Timney Trigger fitted with a trigger shoe makes for a great light trigger. The stocks fore end incorporates a European style accessory rail, and Max Shepard did another superb job on the custom bolt handle. Teludyne Tech Industries cut the barrel to 24 inches and installed the Straight Jacket Barrel system with their muzzle brake. 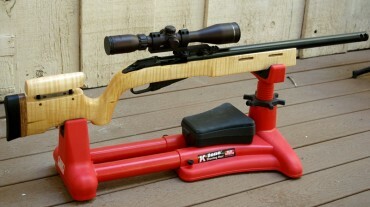 Optics are Hawke Sport Optics Varmint Side Focus 3-12×44. The Varmint is an awesome piece of glass. It’s really accurate and it’s great in low light as well. Most likely, I’m chatting with TTI at the moment about their Next Gen Straight Jacket system, according to Rob Miller and Alan Adolphsen this new process makes for a substantially lighter barrel, in fact I was told they add less than a pound to the rifle. I would love to try one out and see the performance. I’m also considering doing a custom barreled 7.62X54R but instead of the typical .311 bore having it barreled with a true .308 bore, something like the M28/76 but with a bull barrel. With a plethora of .308 bullets out there the possibilities are mind boggling, in fact there are some really hi tech .308 bullets out there that would be really fun to try out. I’ll keep you guys posted as to which way this next build will go. Well that’s it for now, keep your eyes peeled for another custom soon. This rifle looks to be quite the shooter, so when it came to adding a trigger system I decided to go with Timney Triggers. My original MosZilla build had several different types of triggers installed and I really wasn’t happy with their performance. After I installed the Timney in the original MosZilla my groups tightened up and my trigger break was so consistent, that I have become somewhat spoiled. 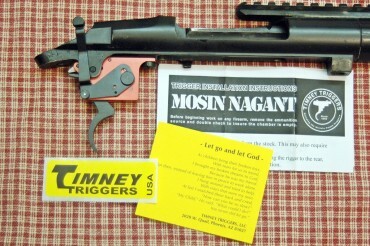 So when this project started the only trigger I wanted to install in MosZilla III was the Timney. This rifle was built from parts, The action was already fitted with a Teludyne Tech StraightJacket Barrel System but that was it. If your doing this to an existing rifle your going to need remove the trigger and the seer spring but make sure you keep the seer screw and the trigger pin, your going to need them later. So after checking to make sure the trigger pin was the proper diameter and I had a trigger screw at hand, I began what is a very simple install. So installation starts with taking your old trigger pin or in this case one I just bought, and sliding into the old trigger pivot point on the side opposite the safety lever. 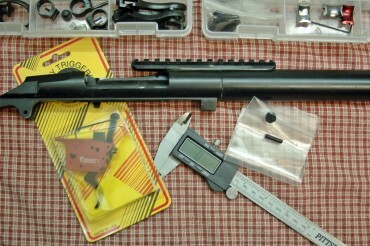 Then through the Timney assembly and stopping when the pin is inserted and flush with the action. 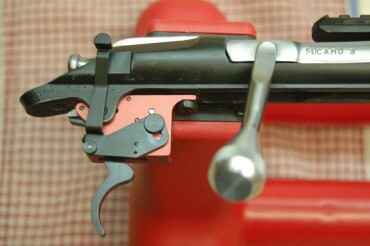 The safety lever on the opposite site of the trigger will prevent you from going all the way through. Make sure you then use the provided hex wrench to tighten down the locking screw located in the back of the trigger assembly. This prevent the pin from slipping out of the action. Next is the seer screw installation, make sure the hole on the trigger assembly is aligned with the hole in the receiver and insert the seer screw and tighten it down. Make sure you do not over tighten the screw, snug is good enough. Once the seer screw is installed and snug turn the action over and work the trigger to make sure all is well. Next I inserted the bolt in the action and made sure the the bolt cycled properly. It’s better to find out now if you have an issue than later. And while I’ve never had an issue with any Timney Trigger I have had issues with building bolts from spare parts. If you have some snap caps available you might wish to try and dry fire the action to make sure your trigger brake is correct also. I have found that while you can have the trigger set at the factory for a specific poundage, your firing pin spring my cause the trigger to be slightly off. Now is an excellent time to test it while it’s out of the stock. It’s easily adjusted so do it now. This also gives you a good reference point as your build proceeds. This way if you do have any issues with your stock or pillars binding on the trigger you’ll know right away. For the Mosin Nagant owner this is the best 100.00 you’ll ever spend, The consistency and quality are unsurpassed. As a custom builder I’ve tried them all. And I won’t put anything else in my builds. 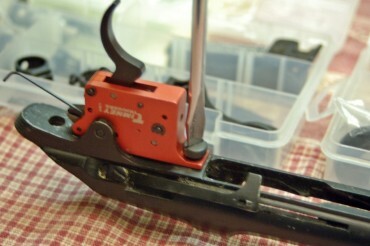 There is one other trick that I use on my rifles that puts the icing on the cake for this trigger assembly. Years ago I heard some long range shooters singing the praises of trigger shoes. They were telling me that a shoe totally changes the feel of the trigger, actually making you think the pull is much less than it actually is. Finding trigger shoes these days is not that easy task. It seems that they are considered old school, and have fallen out of fashion. As luck would have it, I happened to stumble across a shoe setup that looked extremely promising. Oddly enough it was made for a paintball gun. Who would have thought? This inexpensive shoe had the proper curve and a shape I liked. The price was right also at about 5.00 each. I purchased several to bring home to experiment with. Be aware that these shoes do not work straight out of the box you’ll need to have the channel for the trigger opened up about 0.020 of an inch. They are also chrome plated so be careful, I messed a few up by being too aggressive with the cutter and sander and the chrome simply pealed off. This is not a big deal since they are aluminum and can be polished to look quite nice. Now that I have it figured out it’s not a problem. Once installed you’ll not believe the difference in the comfort and feel, your able to squeeze the trigger with the tip of your finger. It actually makes a 2.5 lb trigger feel even less. Once you try it you’ll be amazed. Well that’s it.. Your Timney Trigger system is installed and your ready to put the action in that new stock (or your old one). But that is another article however..
Well the good folks at Teludyne Tech have finished their work on installing the StraightJacket Barrel System on MosZilla MMII, (Gee I hope they sent me a shirt) It arrived at my FFL Friday and they were totally blown away that this was a Mosin Nagant. I’m going down to do some paperwork so I’ll grab some photos while I’m there. I can’t wait to see the final results. 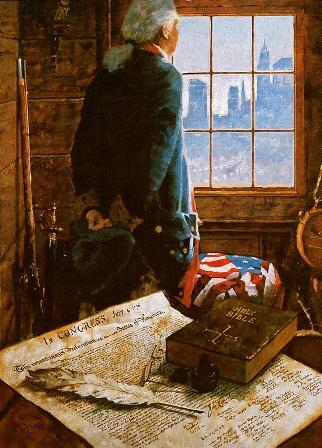 And please remember to VOTE your rights depend on it. Yes your reading correctly, after the success I had with the first MosZilla project rifle I’ve decided to up the anti a bit and start work on MosZilla MKII. This build will again feature a Teludyne Tech Straight Jacket Barrel System but this time the barrel will be cut to 24 inches instead of MosZilla’s original 26 inch barrel. After doing some research and after chatting with Alan at Teludyne Tech I decided to go with the 24 vs the longer 26. Aaron Henderson of LowelDesigns has already completed the heavily modified version of his classic Raven stock, but this time it’s in a beautiful English Walnut. The stock has been fitted with and adjustable cheek and LOP system which comes from the great guys out at Stock Positioning Systems. Ken at RSI has given me plenty of tips and tricks plus his pillars, Screws and Scope Mount are also included in this build. LaRue Tactical scope rings and a Hawke Optics will again be my scope of choice and will give the new project rifle it’s eyes to see down range. Nope not until I get it all together, there will be a video as well. Let’s just say if you thought the original MosZilla was a head turner wait until you see her sister. Stay Tuned..